The rise to power of Mu’ammar Qaddafi (1969-2011) in Libya led to major changes in the observation of Islam in a deeply conservative Sunni Muslim North African nation. While establishing Shari’a as the basis of Libyan legislation, Qaddafi sought to disrupt the dominant Sanusiya and other Sufi orders that dominated traditional Islamic worship in Libya. As the Sufi orders were weakened, Qaddafi adopted an unorthodox approach to Islam in which he was uniquely gifted with the ability to interpret the Quran while diminishing the importance of the hadith-s and Sunna. The result was state-imposed “Islamic socialism,” tightly tied to Qaddafi’s poorly received implementation of the Libyan jamhariya (“state of the masses”) as the national political structure. Unwilling to enter into debate over his controversial interpretations of Islam (likely due to his lack of scholarship in this area as well as his personal arrogance), Qaddafi took harsh measures against Libya’s Muslim Brotherhood in the 1980s, plunging many Brothers into grim prisons while driving others into self-exile in Europe and America. Ironically, it was Qaddafi’s repression of Sufist worship that allowed the Muslim Brothers to fill a void in the spiritual and political opposition to Qaddafi during the 2011 revolution. At the forefront of these efforts was a second-generation Muslim Brother, Shaykh Ali Muhammad al-Salabi. The Libyan Muslim Brotherhood was formed in 1949. Prior to the 2011 revolution, membership was traditionally small and heavily focused on professionals, many of whom were based in the West, with Geneva serving as a type of headquarters for the exiled Brothers. Their first post-revolutionary conference on Libyan soil was held in November 2011. Officially, the Libyan Muslim Brotherhood is led by Ahmad Abdullah al-Suqi of Misrata, though al-Salabi is a prominent, if unofficial, intellectual and spiritual leader, largely through his international connections, including a close relationship to Yusuf al-Qaradawi, the Brotherhood’s Qatar-based over-all spiritual leader (Libya Herald, October 5, 2015). Hizb al-Adala wa’l-Tamiyya (the Justice and Development Party) is widely considered to be the movement’s political arm in Libya, though party leader Muhammad Sawan (a former political prisoner) insists that the party is “administratively and financially independent of the Muslim Brotherhood” (al-Jazeera, July 3, 2012). Over 1200 prisoners (mostly but not exclusively Islamists) were massacred in a single day at Abu Salim prison in 1996 (prior to al-Salabi’s incarceration). Mu’ammar’s son, Sa’if al-Islam al-Qaddafi, made efforts to address the still-simmering anger over the Abu Salim massacre by promising an investigation into the still-taboo subject in 2008. With Qaddafi still in power, the resulting probe found few witnesses or participants willing to discuss what orders were given and by whom. Ultimately, it was small-scale protests over the Abu Salim massacre in Benghazi that sparked the Libyan uprising in 2011. His sentence done, al-Salabi lost little time in leaving Libya in 1998 to take a bachelor’s degree at the Islamic University of Madinah, followed by a master’s degree and a doctorate from Omdurman Islamic University in Sudan. Ultimately, al-Salabi settled in Qatar, where the regime was supportive of the Muslim Brotherhood so long as it remained uninvolved in domestic politics. Qatar is host to a significant international Muslim Brotherhood community, though the movement does not operate in Qatar itself, the local chapter of the Brotherhood having shut itself down as redundant in 1999 after first expressing its approval of the state’s religious direction and administration (The National [Abu Dhabi], May 18, 2012). In 2009, al-Salabi served as a mediator between the regime, as represented by Sa’if al-Islam Qaddafi, and still-imprisoned members of the Jama’a al-Islamiya al-Muqatila bi-Libya (Libyan Islamic Fighting Group – LIFG), most of whom were kept under often brutal conditions in Abu Salim prison. It was during this time that al-Salabi began to forge a relationship with Belhaj, a still incarcerated LIFG commander. As a result of the initiative, hundreds of Islamists were released from Libyan prisons after swearing not to take up arms against the regime. Belhaj and several other former LIFG commanders became closely associated with al-Salabi after their release, though their oath meant little in the end. Salabi’s Master’s thesis, Al-Wasatiyah fi al-Qur’an al-Karim (Moderation in the Noble Quran), was published in Arabic in 2001. The work examines the concept of wasatiyah in Islamic epistemology, a concept that calls on Muslims to adopt a balanced approach to Islam that emphasizes fairness and best practices. After completing a doctorate in Islamic studies at Omdurman Islamic University in the Sudan in 1999, al-Salabi produced a series of biographies (often in multiple volumes) of the Prophet Muhammad, the early Caliphs, crusader adversary Salah al-Din al-Ayubi and others. All these works (save his master’s thesis) have been translated into English by Saudi publishing houses and garnered general scholarly approval in the Islamic community and wide sales internationally, though the Russian seizure of a single copy of al-Salabi’s biography of the first Caliph, Abu Bakr al-Siddiq, led to a 2014 ban on the unexplained claim the work contained “information aimed at justifying suicidal terrorism and armed struggle (jihad) in the path of Allah under the guise of religious ideology”(Forum 18, March 20, 2015). Al-Salabi also specializes in the study of hadith-s, accounts of the words or actions of the Prophet Muhammad. Prior to his return to Libya in 2011, al-Salabi was best known to other Libyans by his frequent appearances on Qatar-based al-Jazeera TV. Shortly after the anti-Qaddafi revolution began in February 2011, Qatar decided there was an opportunity to increase its influence in Libya, which is similarly blessed with massive reserves of gas, possibly with a mind to expanding the operations of Qatar’s highly successful natural gas firms (Reuters, June 9, 2011). Al-Salabi returned to Libya to act as the point man for shipments of arms from Qatar and the provision of Qatari intelligence and training from Qatari Special Forces operatives. Qatar’s support for the Salabis and the Libyan Muslim Brotherhood appears to have been more practical than ideological in that the chaotic early days of the revolution offered few (if any) other Islamist groups that could claim to be fully organized with an established hierarchy. Nonetheless, Doha’s preference for Islamist revolutionary groups and al-Salabi’s pre-existing relationship with the Qatari regime sealed the deal, and soon both parties began to build a network of influence funded and controlled from Doha. Contacts between al-Salabi and Sa’if al-Islam Qaddafi appear to have continued well into the revolution; in July 2011, Sa’if al-Islam announced the formation of an alliance with al-Salabi against the rebels. Al-Salabi denied the creation of an alliance, but did acknowledge that he had been in continuing talks with regime representatives (AFP, August 4, 2011). In the course of an interview with the New York Times, Sa’if al-Islam Qaddafi described al-Salabi as “the real leader” of the revolution. (NYT, August 3, 2011). Al-Salabi loudly opposed the appointment of Mahmoud Jibril (a close friend of Sa’if al-Islam al-Qaddafi) to head the Transitional National Council (TNC) during the revolution. Though Jibril had proclaimed Shari’a would be the basis of all Libyan legislation, he remained tainted in the Islamists’ eyes by his former role as a major player in the Qaddafi administration. The pressure from al-Salabi, Belhaj and others eventually compelled Jibril to resign on October 23, 2011. Ironically, one of al-Salabi’s criticisms was that Jibril was going too far by announcing he would ban all non-Islamic finance, with al-Salabi stating simply that “We are part of international banking systems” (Telegraph, November 10, 2011). The Islamist Hizb al-Watan (Homeland Party) was founded by al-Salabi and Belhaj in November 2011 (initially under the short-live name National Gathering for Freedom, Justice and Development. According to al-Salabi, the movement was “not an Islamist party, but a nationalist party… but its political agenda respects the general principles of Islam and Libyan culture” (Telegraph, November 10, 2011). Al-Salabi has been publicly consistent on two principles; first, that the movement is democratic and second, that the movement is focused on the implementation of moderate Islamic politics along the lines of the “moderate” Islamist governments of Turkey and Malaysia. He was supported in this by Belhaj, the allegedly reformed militant, when he stated: “Libyans are Muslims and they call for moderate Islam, so none of us poses a threat to anyone inside or outside Libya” (al-Jazeera, July 3, 2012). Salabi told a post-revolution gathering that included Islamic scholars critical of his decision to enter politics: “We call for a moderate Islam. But you all have to understand that Islam is not just about punishment, cutting hands and beheading with swords” (Reuters, October 10, 2011). Contrary to expectations, Hizb al-Watan failed to take a single seat in the Libyan National Assembly election of 2012, which was easily won by Mahmoud Jibril’s National Forces Alliance (39 seats, 48% of the vote). The Muslim Brother’s Justice and Development Party took 10% of the vote, but benefitted from the election of a large number of independent candidates sympathetic to the Brotherhood. 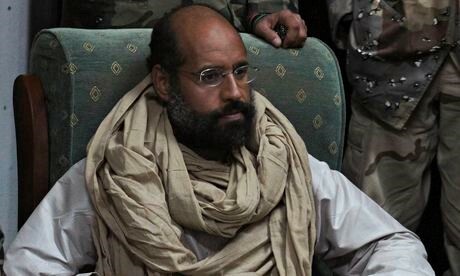 Situating himself as a proponent of democracy, al-Salabi called for general elections in May 2015 “to put an end to the bloodshed and protect Libya,” urging the UN envoy to Libya and Libyan politicians to stop “wasting time and effort and manipulating Libyans’ feelings in preparation to invade their country under the pretext of combating terrorism” (Middle East Monitor, May 5, 2015). In interviews with Western journalists, al-Salabi inevitably professes an admiration for American-style democracy that he claims began when he read Jefferson in prison (Washington Post, December 9, 2011). Responding to a leaked video showing the beating of Sa’adi Qaddafi in a GNC prison in Tripoli and reports that former regime members were being tortured in revolutionary prisons, al-Salabi denounced the treatment, insisting it repeated the “authoritarian behavior that was ousted in the 17 February revolution” (Middle East Memo, August 6, 2015). Al-Salabi works closely with his brother Isma’il, who was also imprisoned by Qaddafi in 1997 until his release in 2004. During the revolution, Isma’il took command of the Raffalah Sahati militia, a main recipient of Qatari arms and a part of the February 17 Brigade, a coalition of Islamist militias. The May 2014 launch of Operation Dignity by General Khalifa Haftar quickly led to clashes in Benghazi between Isma’il’s Raffalah Sahati Brigade and Haftar’s Libyan National Army, with tensions between the two groups continuing to this day (al-Hayat, May 19, 2014). Ali and Isma’il al-Salabi work closely with Jalal al-Dugheily, a politician and former soldier who served as Defense Minister in the post-revolutionary TNC, a position that allowed him to help with the mass transfer of Qatari arms to Islamist revolutionaries. 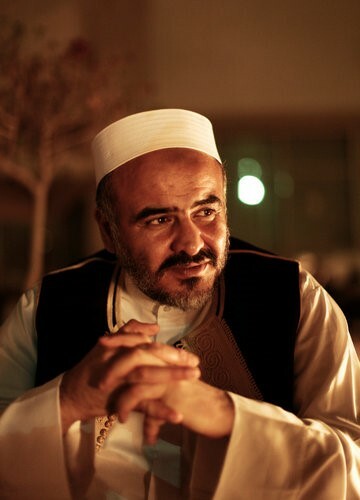 A third brother, Khalid al-Salabi, left Libya in 1996 and is an imam at a Galway mosque in Ireland and head of the Galway Islamic Society (Irish Times, September 10, 2011). The influence of the Muslim Brotherhood in Libya is now being challenged by the upstart Islamic State organization. The extremism of the Islamic State is obviously distant from al-Salabi’s emphasis on moderation; to counter the movement, the cleric has called for a national unity government that possesses a clear mandate to combat terrorism and “is also prepared to cooperate with the international war on terrorism” (Libya Herald, March 1, 2016). Al-Salabi appears to have pulled back from the political scene to some degree today, but continues to be active in promoting and organizing Islamist forums. The Shaykh may still play a role in restoring Libyan stability, but it has become clear al-Salabi speaks for only a small percentage of Libyans. His professions of moderation in both Islam and Islamist politics brings back unfortunate memories of Egypt’s Muhammad al-Mursi’s embracement of moderation and inclusion in Egypt’s post-revolutionary period before the Egyptian Muslim Brotherhood sought to control most elements of Egyptian society and governance, bringing themselves down in the process. Unlike al-Mursi, al-Salabi’s interest in moderation appears sincere and long-held; on the other hand, his close association with Belhaj, a former militant whose disavowal of extremism appears somewhat less certain, and Islamist militias including the one controlled by his brother, lead to inevitable questions about his commitment to democratic ideals. Libyan gratitude for Qatar’s assistance during the revolution has withered into a growing resentment of what is now widely viewed as a prolonged interference in Libya’s domestic politics. Once an asset, al-Salabi’s close relations with the Qataris has begun to work against him in the Libyan political arena. Al-Salabi recently insisted that both the General National Congress (GNC) government in Tripoli and the rival House of Representatives (HoR) government in Tobruq must resign, as neither institution is legitimate. Only in this way can a real and inclusive national dialogue be initiated to restore Libyan unity (Middle East Monitor, November 23, 2015). With both governments doggedly hanging on to belief in their own legitimacy a month later, al-Salabi issued a call for the leaders of both institutions to meet with Fayez al-Sarraj, head of the new UN-sponsored Government of National Accord (GNA), the latest effort to unite Libya’s political structure (Libya Prospect, December 21, 2015). For now, al-Salabi’s campaign to promote modernity and moderation in Islamist politics is treated with some suspicion by many Libyans following the Egyptian Brotherhood’s disastrous term as the government of Egypt. However, as Libyans continue to struggle to establish a unity government and bring an end cycles of ethnic and political violence, new opportunities will undoubtedly emerge for al-Salabi and his colleagues to ensure Islamists are well represented in any future government. Libya Electoral, Political Parties Laws and Regulations Handbook – Strategic Information, Regulations, Procedures, International Business Publications, Washington D.C., 2015, p.53. M. Cherif Bassiouni (ed. ): Libya: From Repression to Revolution: A Record of Armed Conflict and International Law Violations, Martinus Nijhoff Publishers, 2013, p.444. Fitzgerald, Mary: “Finding Their Place: Libya’s Islamists During and After the Revolution,” in Peter Cole and Brian McQuinn (eds. ): The Libyan Revolution and its Aftermath, Oxford University Press, 2015, pp. 194-95. Richard A. Lobban Jr. and Christopher H. Dalton: Libya: History and Revolution, Praeger Security International, Santa Barbara, 2014, p.153, fig. 7.1. This article first appeared in the March 2016 issue of the Jamestown Foundation’s Militant Leadership Monitor.